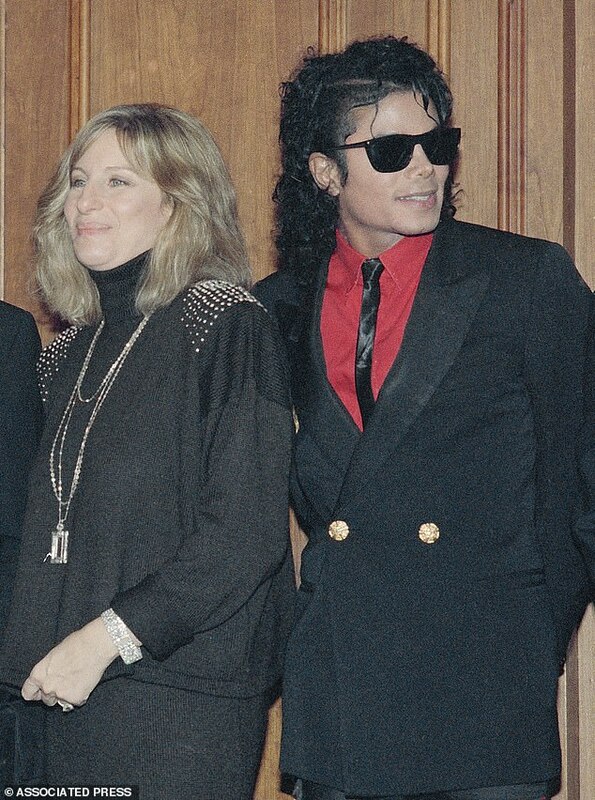 Barbra Streisand has been forced to respond to her comments on Michael Jackson’s accusers after she said the alleged sexual abuse victims ‘wanted to be there’ as children. 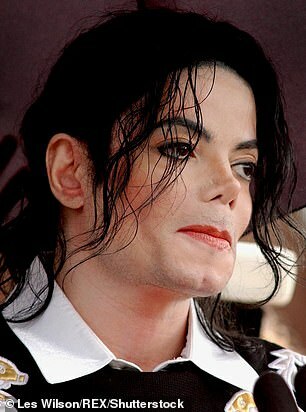 The 76-year-old singer and actor sparked an angry backlash Saturday after saying Jackson’s ‘sexual needs were his sexual needs’ in a bizarre interview. And she was later forced to defend her words after her comments caused outrage around the world. 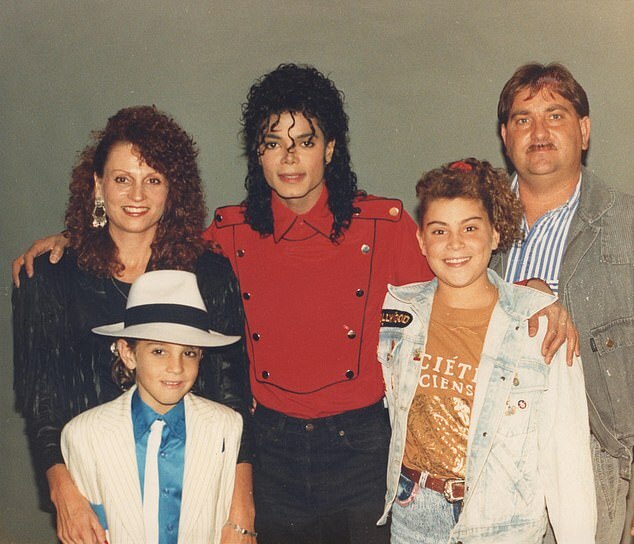 The singer said she ‘feels nothing but sympathy for the men’ but still heaped blame on the boys’ parents for allowing themselves to be ‘seduced by fame and fantasy’. In a statement to The Washington Post Streisand she said: ‘To be crystal clear, there is no situation or circumstance where it is OK for the innocence of children to be taken advantage of by anyone. 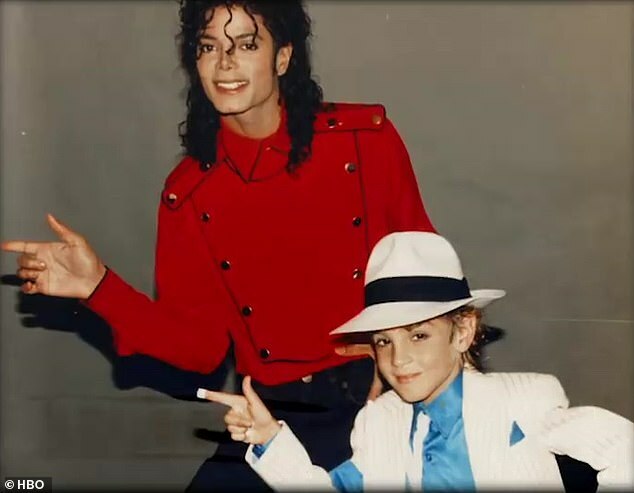 Streisand had told British newspaper The Times of London that the two main subjects of documentary ‘Leaving Neverland,’ now-adults Wade Robson and James Safechuck, ‘were thrilled to be there’ as children and whatever happened to them ‘didn’t kill them’. 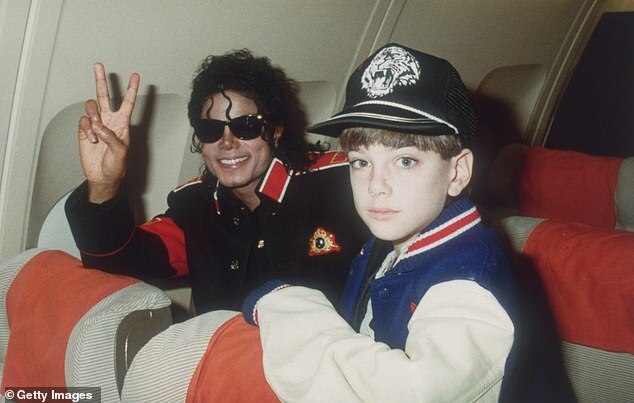 The recently released ‘Leaving Neverland’ documentary is about how Robson and Safechuck, now in their 30s, say Jackson, who died at age 50 in 2009, sexually abused them from the ages of seven and 10, respectively. The director and producer of that film, British filmmaker Dan Reed, joined many in being appalled at Streisand’s remarks. 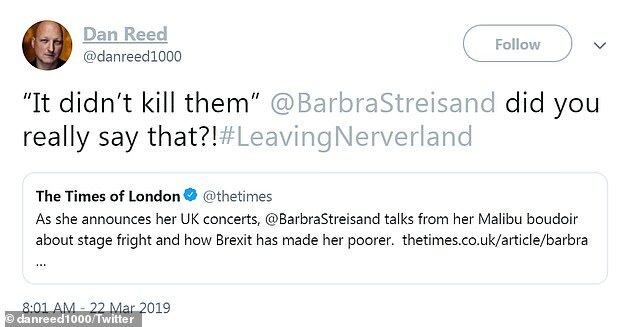 ‘”It didn’t kill them” @BarbraStreisand did you really say that? !’ Reed tweeted on Friday. Others labelled the Grammy and Oscar winner a ‘sick woman’ and said her comments were ‘unbelievably repulsive’. 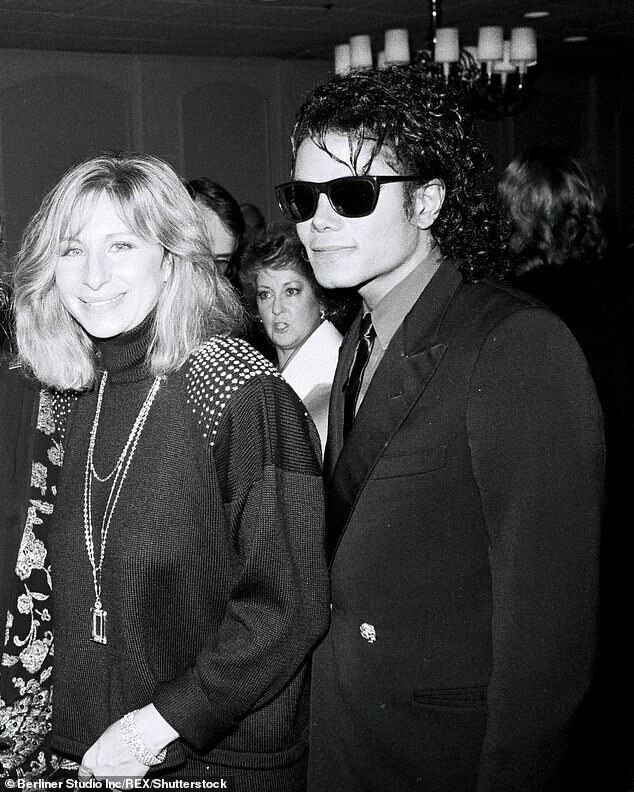 Streisand apparently did say ‘it didn’t kill them’, and much more about Jackson, who she crossed paths with throughout their careers, and his accusers. ‘I am sick to my stomach,’ tweeted New York Magazine and HuffPost writer Yashar Ali. Even people who had previously been exhausted by the internet’s tendency to ‘cancel’ individuals at the drop of a hat agreed, like one user identified as ‘Emma’ on the platform. 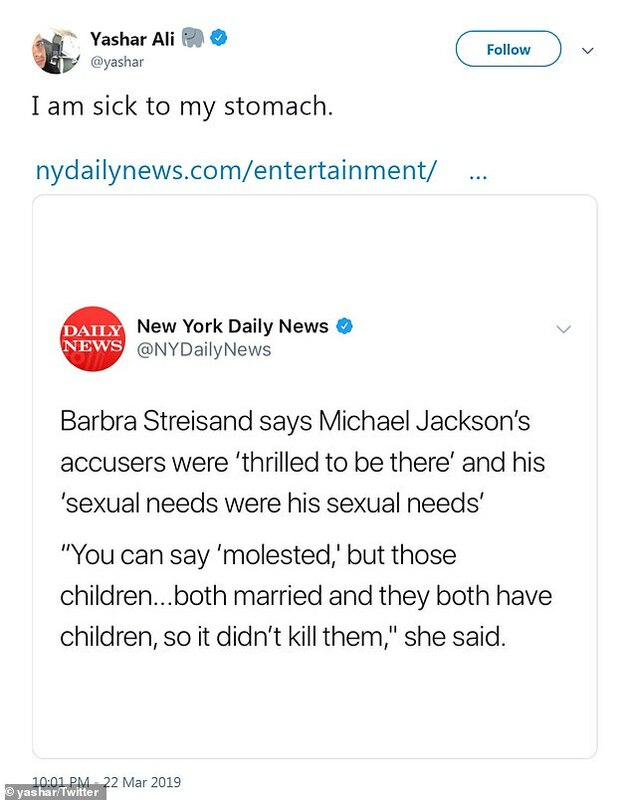 ‘I’ve changed my mind about cancel culture just so Barbra Streisand the pedo apologist can be cancelled. Jfc,’ Emma wrote. 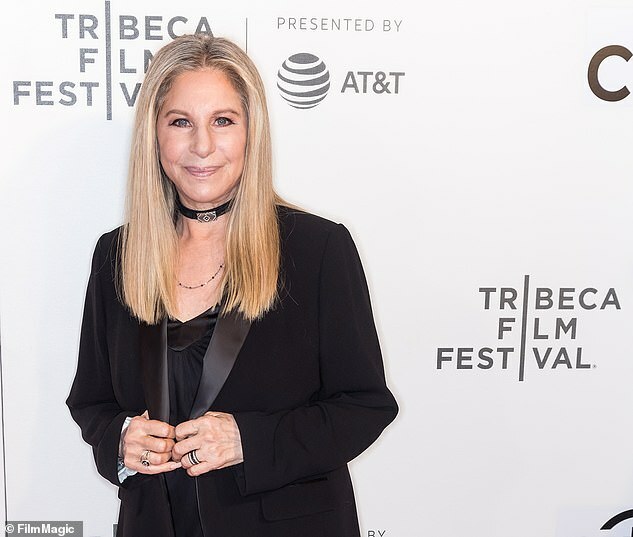 A reply to that post included a gif of red, flashing ‘canceled’ stamp over Streisand’s face, in a photo from the 2017 Tribeca Film Festival.